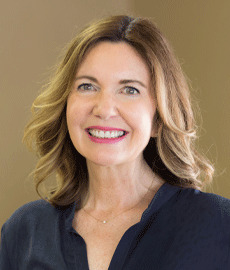 Terri Winn is the very best real estate agent in Paso Robles. She listed my high-end property and procured a buyer quickly. I will want her advice on any of my future real estate transactions. Professional and personal service from a truly wonderful agent! We have been delighted to have Terri Winn represent us in our purchases. You can be assured when the time comes to sell we will want to have Terri as our agent. She is very thorough and her advice has been very much appreciated and helpful in being able to find and acquire the properties we have desired to purchase. She has kept us informed and returns phone call or messages promptly. She is also great at helping us in other real-estate needs in addition to our purchases. We have and will continue to recommend Terri to our friends and relatives in the future. Two family members have also bought property from Terri because of our recommendations. - Joy and Paul K.
Asking Terri Winn to be our sales agent was one of the best and most fortunate decisions I made about our property. She accurately knew the market for our home and was able to quickly provide the names of possible contractors and services to address a wide-variety of needs. All of her referrals turned out to be excellent people to work with. Terri had good insights and great advice. She was always available to talk through a question or an issue and was very generous in the time she spent with me and the time she spent visiting the property. We agreed on a marketing strategy - Terri had the energy and endurance to see the plan through to a successful conclusion. "We have had the privilege of working with Terri Winn since 2000. It has been our pleasure to have her represent us in a number of transactions. Terri's experience in the real estate market, coupled with her unparalleled professionalism has made her a success as an industry leader. There is no one we would trust more with our investment decisions than Terri Winn. - Jeff & Allison M.
"Terri Winn takes the term Realtor to new heights. She is the utmost professional and we are only too pleased we encountered her during our search for our dream house. She also assisted us in several 1031 exchanges. Terri is the best." - Tom & Jeannie M.
"I have worked with Terri Winn on several real estate transactions over several years and have found her to be very professional, responsible and most importantly, ethical. She worked hard for me and always took the time to address my concerns and get the answers whenever possible. I can be a difficult, demanding client and yet Terri can make a tough transaction work out to my satisfaction. Because of past experience I will be requesting Terri as my agent in future transactions." "We have worked with Terri Winn on numerous real estate transactions and we can say, without a doubt, she is the BEST in the business. Her communication style is open, honest and forthright. Her knowledge of real estate and finance is superior. Terri has boundless energy and has continued to impress us with her "get it done right" approach." - Andy & Brendy A. 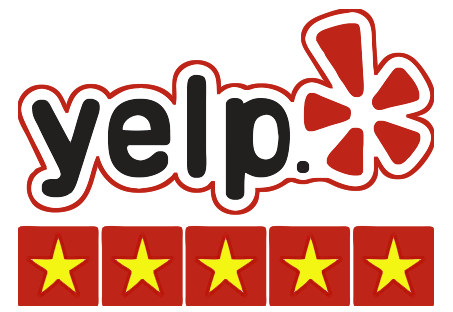 "Our experience with Terri Winn was great. She is warm and full of knowledge and confidence. She helped us purchase a home that really matches our family's personality. Her knowledge of the area in which we were looking and the markets from both a buyer and seller standpoint contributed to our trust and ease in the process. There seemed to be no end to her availability and willingness to answer questions and concerns along the way and I have already recommended Terri to friends, and would highly recommend her services to anyone looking for the best!" "Terri is the best Realtor® we have ever met and worked with. She is intelligent, positive and informed. Many Realtors could learn from Terri's attitude and professionalism. We highly recommend her"
- Dale & Barbara W.
"Terri Winn is amazing. She went well beyond what she needed to do for us from a business point of view. She made us feel important. She has incredible ethical and moral standards that you don't find in the business world." - Dr. Greg & Keri J. - Mike & Sandra D.